I really how you did the post-processing on this image. Lovely fish, interesting treatment ! Very peaceful and relaxing scene. Wonderful capture of these colorful fellows! 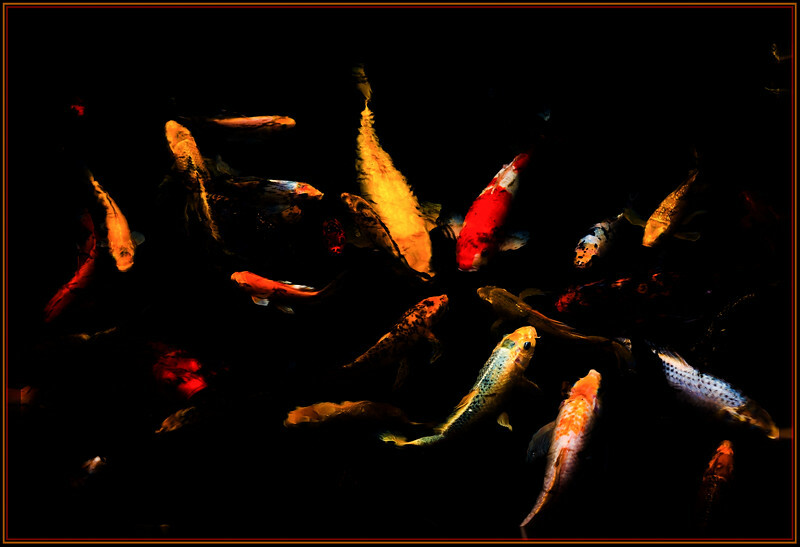 Neat shot of the koi! Glad you are getting the RV in shape. Where are you planning to go this season? Neat capture, great color, light! I LOVE this!!! Awesome colors! Great shot.